* We provide content using "MR" (Mixed Reality), a combination of AR (Augmented Reality) and VR (Virtual Reality). 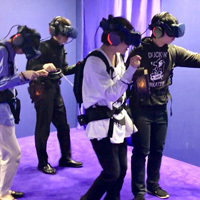 Visitors can see images of themselves and their companions in the VR space, so they can experience a deeper "ultimate immersive feeling". Aside from reservations, same-day tickets are also sold at the venue. 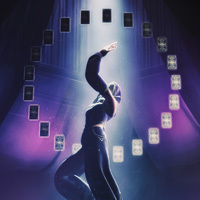 "Tarot VR" is an attraction that up to 2 people can experience simultaneously. 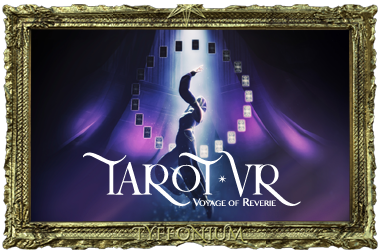 By experiencing the world of tarot cards via VR, visitors will be able to take in the symbolic meaning of the cards more richly. 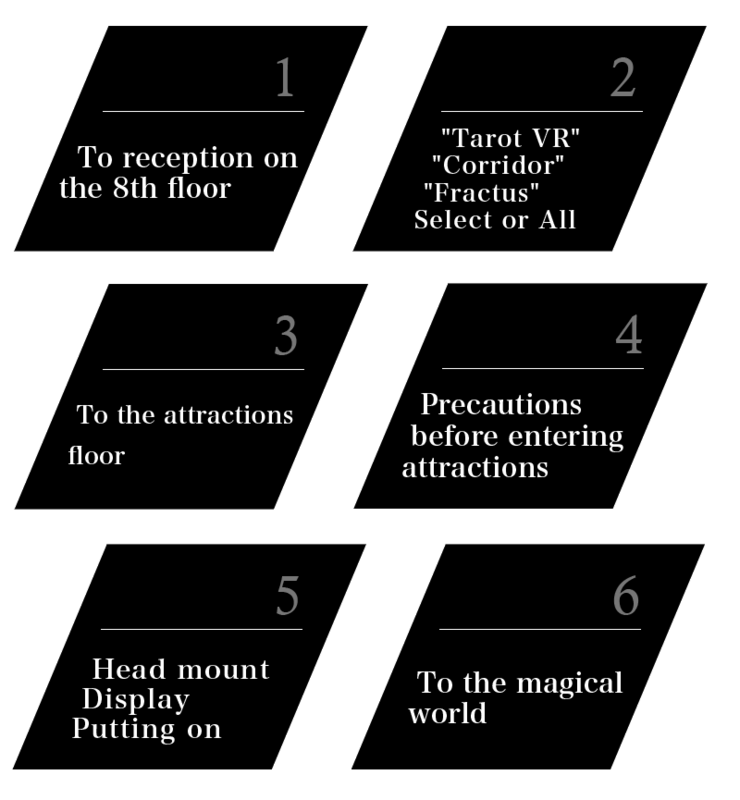 At the end of the experience, visitors will receive a card with the same design as the tarot card experienced in the VR space as a reminder of the journey, and an explanatory book with the result of the fortune-telling. This attraction is a joint production of Zappallas, Inc., which holds the world's No. 1 share of the fortune-telling content market, and TYFFON, Inc. which handles TYFFONIUM attractions. *As of March 29, 2019. Specifications may be changed in the future. 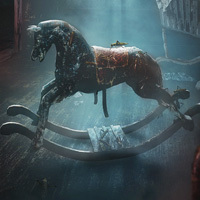 A Free-roaming horror attraction inside an abandoned house. 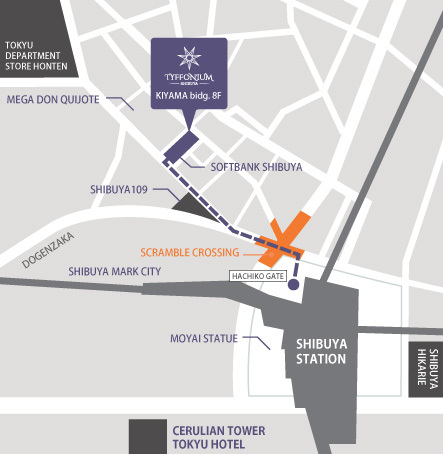 Recommended for visitors who want to enjoy the attractions with friends or as a couple. 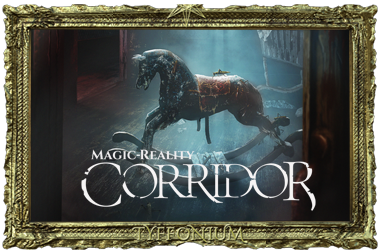 "Corridor" is a walking-type attraction that up to 4 people can experience simultaneously. Visitors walk along the magic circle drawn on the floor of the ruined European-style building. If visitors hold aloft the lantern they are holding with one hand in the VR space, strange things happen. It is our most popular attraction. 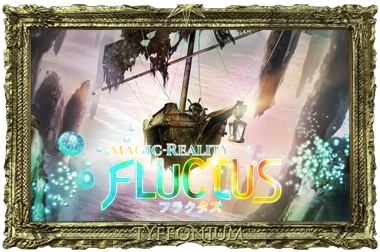 "Fractus" is a fantasy attraction in which up to 5 visitors sail into a fantastic parallel world. Made even more realistic with the wind blowing, visitors immerse themselves in the VR space. Please return to this world from the parallel world by joining forces with all the crew members. 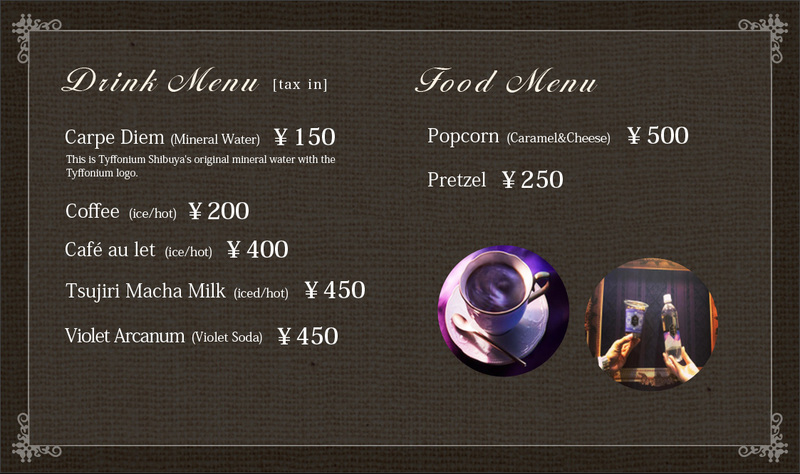 Visitors can enjoy drinks and sweets at the Tyffonium Café on the 8th floor. Visitors can meet and relax before entering the attractions, or discuss their thoughts after the experience. Visitors may also use only the cafe. 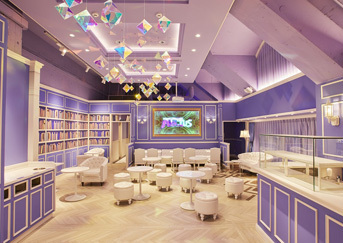 Before experiencing the main attractions, visitors can watch pre-show movies to get deeper into the worlds of the main attractions. Previously no more than 2 visitors could simultaneously experience this, but with this version upgrade, up to 4 visitors can experience it simultaneously. Even more people can enjoy the world of "Corridor" simultaneously. 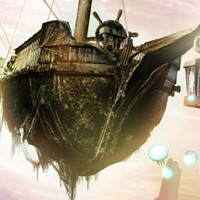 Ride a boat to the parallel world of "Fractus". 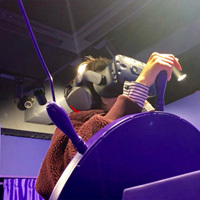 In addition to regular VR images, 4D elements are incorporated, such as a shaking floor, flow of air, mist and scents, to provide a deeper sense of immersion. 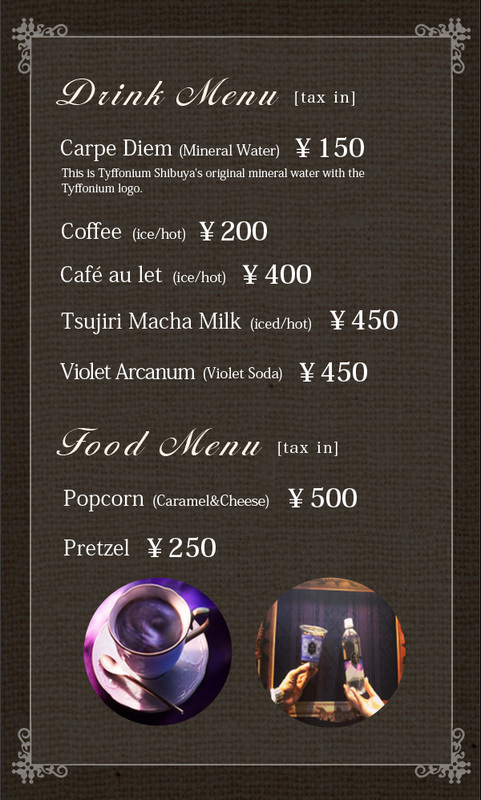 We have prepared a café where visitors can enjoy the Tyffonium world view as is. Visitors may also use the café only. Visitors can chat with the people they came with, or use it as a meeting place. This is the first time I've used VR and I'm nervous. 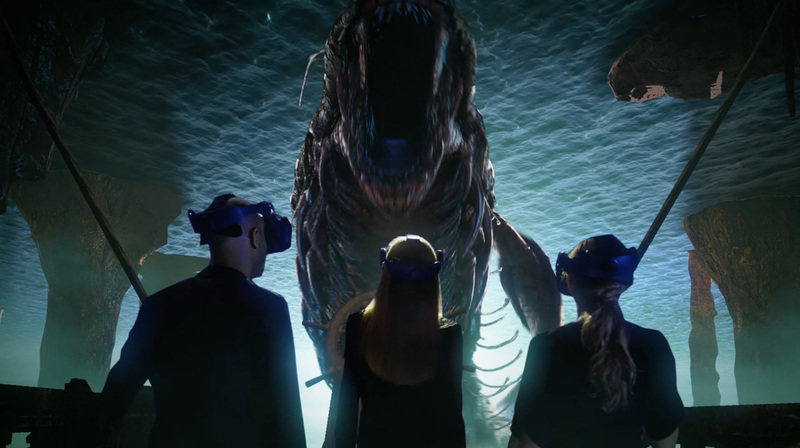 When we surveyed visitors to the attractions in December 2018, right after we opened, we found that 47% of them had never experienced VR before. 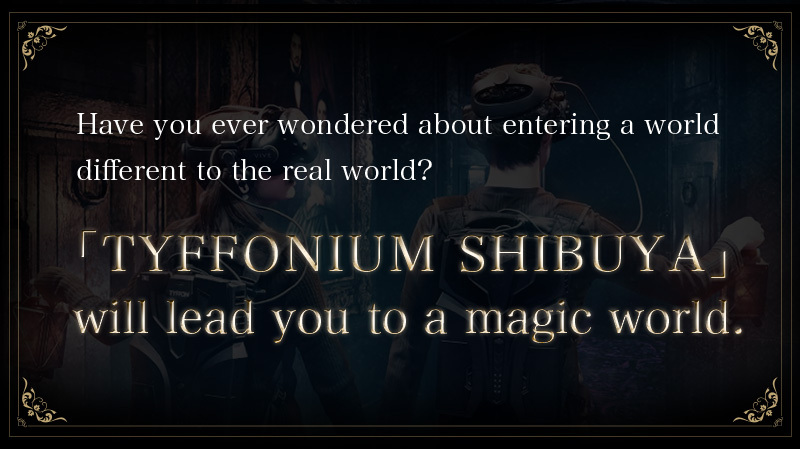 The attractions in Tyffonium Shibuya do not move as violently as VR games, rather they are experience-based attractions with VR spaces in which you can walk on your own or ride a boat. So we would suggest it is relatively well-suited to visitors experiencing VR for the first time. I'm not very good with horror scenarios. Visitors often say at the reception that they are "not sure about horror". 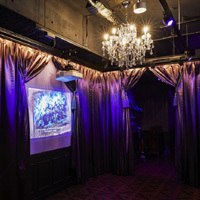 But visitors who have actually experienced the horror attraction, “Corridor”, have been extremely satisfied with it, and it is often the case that visitors who are hesitant at the reception are satisfied with the experience. Up to 4 visitors can experience "Corridor" at the same time, so if you experience it with a large number of people, you may not be scared. We received many comments in the customer survey stating, "I was scared but it was fun". Is it okay to use only the café? Yes, you are welcome to use only the café. The café on the 8th floor is surrounded by images of the Tyffonium worlds and also has many Instagrammable spots. Is it possible to experience 2 attractions in 1 day? Yes, you are welcome to do so. Some visitors experience 2 attractions in succession. The enjoyments are different according to the attraction, so please try multiple attractions. Do you have official social media accounts? Are there any benefits? 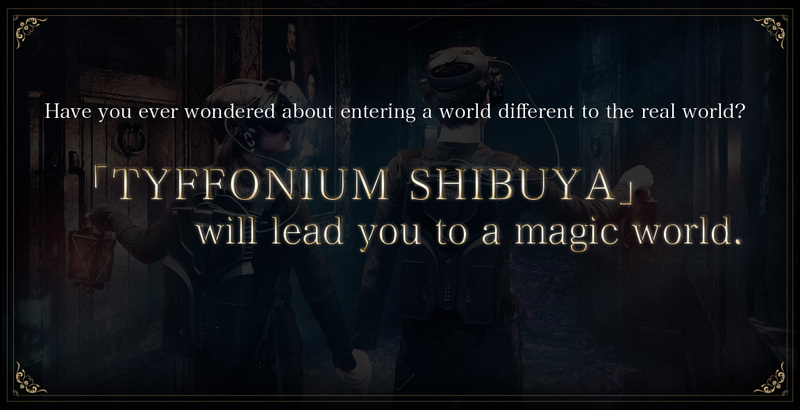 There are Tyffonium Shibuya official Twitter and Instagram accounts. We also carry out special campaigns at any time on social media only, so please follow us. Where can I leave bags, etc.? There are lockers near the reception on the 8th floor. These are free for visitors using the attractions and we lend out keys, so please feel free to use them. Can we visit the attractions in a group? Yes, you are welcome to do so. We recommend making a reservation for a large group.